The European Wilderness Quality Standard as well as the IUCN protected areas categories, particularly category Ia and Ib, designate and protect Wilderness in Europe. The European Wilderness Quality Standard is based on the European definition of Wilderness and Wild Areas from the Wilderness Working Group (WWG) published in 2013, as part of the Wild Europe Initiative in which more than 230 representatives from numerous organisations, including IUCN, participated. This definition was also agreed upon by the European Commission and defines Wilderness in an European context. The European Wilderness registry as well as the EU Guidelines on Wilderness in Natura2000 sites are based on the European Wilderness Quality Standard. 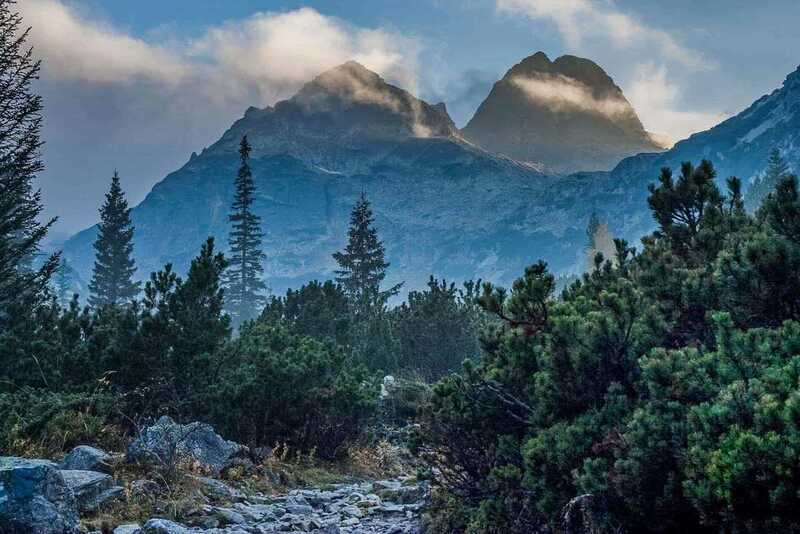 The aim of the The European Wilderness Quality Standard is to offer a European wide standard for Wilderness and Wilderness designation in Europe. It is compliant with the most important definitions of Wilderness in Europe and the world (IUCN, U.S. Wilderness Act). The The European Wilderness Quality Standard and Audit System does not only assess the Wilderness of an area but also its stewardship. This means issues such as a proper Wilderness stewardship plan, Wilderness staff and training and the protection of undisturbed natural dynamic processes are implemented. Educational programmes about the importance and role of Wilderness and natural dynamic processes come into play here as well. The practically implementation of the comprehensive The European Wilderness Quality Standard and Audit System takes place during an up to 14-day audit mission. This on-site field audit is the key component of the whole European Wilderness Quality Standard and Audit system. The majority of such an audit mission is time spent in the field with the Wilderness managers and stewards. The aim is to discuss issues right at the place where they come up and to get a first hand impression of the Wilderness characteristics. Whereas the The European Wilderness Quality Standard and Audit System focuses on the specifics of a European Context, IUCN focus on the international aspects. The IUCN protected areas categories are based on the primary management objective of a protected area. This translates to about 75% of the protected area that should be managed according to this objective. The responsibility to establish and assign an IUCN protected areas category lies in the hands of the national governments or government bodies. The Guidelines for Applying Protected Area Management Categories by Dudley, N. (2008) are the basis for any category assignment. IUCN urges all governments to consult and co-operate with relevant stakeholders in the assigning process. However, the governement decides on the extent of such a stakeholder involvment. This is a tribute to the international focus of the IUCN system. In some cases IUCN can advise a category assignment and even do individual advisory missions. But according to the Guidelines for Applying Protected Area Management Categories no international standardised verification system by IUCN exists yet. IUCN only requestes the reporting of the final category assignment to the UNEP World Conservation Monitoring Centre to include it in the World Database on Protected Areas. If and how a government acts on this responsibility highly depends on the importance the government puts on nature protection. In particular on the protection of Wilderness. Of course this is a complex task where issues, such as the capacity for financing, the scientific resources of the country and the presence of nature protection organisations play a role too. Governments often ask for clarification if the category assignment is correct. This particularly comes into play when funding levels depend on the protected area category designation. IUCN is planning sometime in the future to install some kind of certification or verification process with the aim to check the assignment of categories. This includes the issue to install a possibility to challenge a category assignment. Compounding the issue is by how the respective government body responsible for national IUCN implementation interprets the global category definitions. The current distribution of Ia and Ib areas across Europe therefore does not so much show the actual distribution of Wilderness, but more the value the national governments give Wilderness and its protection. If one compares the different interpretations and consequently assignments of protected area categories of national governments in Europe, the question of international comparability comes up. Is a Ib Wilderness Area in Norway managed the same way as in Austria, Estonia or Romania? Regardless of these shortcomings the actual existence of areas worthy of this protection is the essential issue. The assignment process of IUCN protected areas categories passes the responsibility on to the national governments. Like the IUCN protected areas category system the implementation of the European Wilderness Quality Standard and Audit system is voluntary and not legally binding. However, there might be underlying binding national legislations for both designations. For an IUCN designated area this means if the management objectives within an area change, for example from non-intervention to intervention, the label can be changed but there is no external independent controlling body by the IUCN yet. The European Wilderness Society, on the other hand, works directly with the protected areas and carries out the audit missions independently from national governments. The European Wilderness conducts regular audits to evaluate the on-going management and stewardship of the European Wilderness Network members. If the stewardship leads to an increase or decrease of the Wilderness quality, the European Wilderness Quality Standard will change the assigned Wilderness quality label. This means, in an extreme case even excluding an area from the European Wilderness Network when the stewardship is completely conflicting with the European Wilderness Quality Standard. The objective with these audits is to achieve comparable wilderness experience and stewardships across Europe. The field part of the designations is significantly different as well. However, this can be led back to the overall system and extent of the two organisations. The European Wilderness Society works in Europe and just with Wilderness. Whereas IUCN is a global organisation working with 6 protected areas categories. Even though the definition and criteria for Wilderness are mostly identical, the different implementations and approach to audits shape the understanding and impression of Wilderness Europeans have. The good news is that the definitions of the IUCN categories Ia and Ib and the European Wilderness Quality Standard are basicaly identical. This is underlined by the fact that the European Wilderness Quality Standard and Audit System was developed on the basis of the IUCN definitions and with direct input by IUCN. The major difference between the two systems is the Audit process of the European Wilderness Quality Standard and Audit System. Any Wilderness designates as IUCN 1a or 1b will pass muster and can become a Member of the European Wilderness Network.